The 'Silly String II' compact disc. Or, the 'Delectable Machinery' compact disc. Both can either be signed or not. Or, the 'Delectable Machinery' Ultimate Collector's Package. 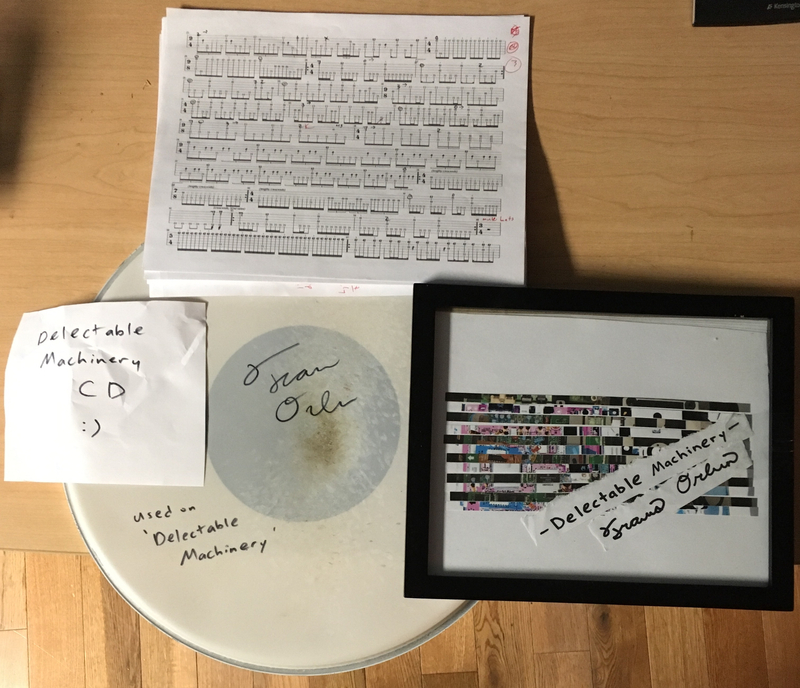 Includes the following: signed 'Delectable Machinery' CD (photo was taken before the CD arrived), the actual snare drum head utilized in the recording session (signed and personalized), the drum charts for the entire album (signed and personalized), and the original artwork used for the album cover (framed); this isn't a proof (certificate of authenticity included). If purchased prior to the arrival of the CDs from the pressing plant, you'll also receive a download link for the album so you don't miss out on any action.